TRAINING ACTIVITIES OF IPSITA COMPUTERS PTE LTD.
IPSITA COMPUTERS PTE LTD has completed a project in partnership with Bangladesh Hi-Tech Park authority, a skill enhancement program. It was a three months training program where the company provides knowledge on HTML5, CSS3, PHP, Magento, Open cart, Joomla2.5 and WordPress under the theme “Open Source Customization‟. The trainees are trained by highly efficient web programmers. The three-month course offered by the company has attracted hundreds of students since its commencement in 1st May 2014. With the help of this program, in total 9 batches of students have found ways of employment by getting jobs at local IT companies, and working in online market places as freelancers. We have developed a robust database system for all the students trained under Skill Enhancement Program conducted by 36 IT organizations and organized /administered by Kalikoir Hi-tech Park Authority. An online examination system with instant result publishing and archiving system was also developed to assess achievement of students after the training program. IPSITA COMPUTERS PTE LTD has also undertaken projects of LICT where internship offered to students for PHP and Software Quality Assurance Testing. They were trained to work from very basic to advanced level and prepared to work in corporate environment according to their experiences. Just after completing the trainee period, 90% of them has been absorbed in different IT companies of Bangladesh. 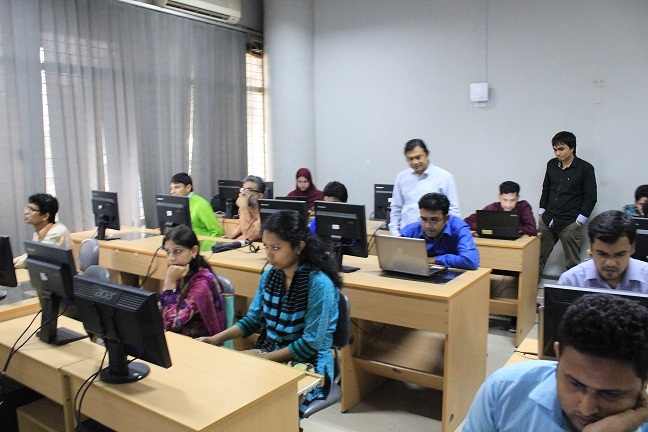 IPSITA also conducts internship program for students of Polytechnic Institutes of Bangladesh. As they get involved in real life projects during internship, they can assess their own capability and become confident for future job. The company also developed a Learning Management System named FOQAS for both Bangladesh and USA and European market. Apart from it, a School Management System is in operation more than 200 schools in Bangladesh. The company is focused to educate and train people with latest technologies in the areas of IT and IT enabled Service Industry. Thus, making them capable to earn living just after the learning,irrespective of age, social status or, educational background.